Greg Biffle, who has not competed in a NASCAR event since the 2016 Cup Series season-finale, logged 18 laps during Thursday afternoon’s opening practice for the NASCAR Gander Outdoors Truck Series 21st annual Vankor 350. Biffle placed fourth on the speed chart after touring TMS’ high-banked/1.5-mile oval at 183.723 mph in the No. 51 Cessna Toyota Tundra assigned to team-owner Kyle Busch. Biffle used to session to scrape off the rust for his impending return to the series during TMS’ traditional nighttime Truck Series summer race on June 7. Busch _ owner of Kyle Busch Motorsports and winner of three consecutive NGOTS races _ placed sixth during the second 50-minute session at 184.881 mph after 33 laps. Busch will be aiming for a career-milestone fourth consecutive Truck Series victory during Friday night’s 147-lap/220.5-mile event (8 p.m. EDT on FOX Sports 1, MRN and SiriusXM NASCAR Radio). 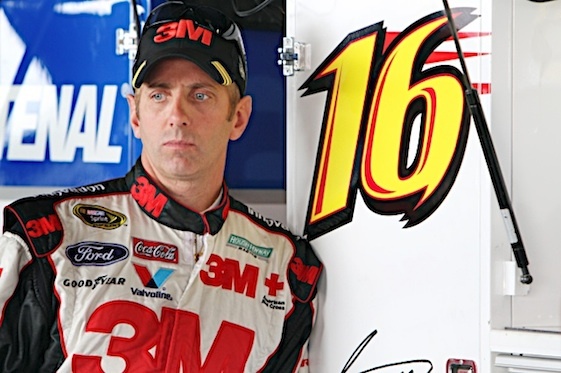 Biffle has enjoyed considerable success at TMS. The native of Washington state qualified on-pole and led 120 of 167 laps en route to victory in the June Truck Series race in 2000. In five series starts, Biffle has that one win from pole, four top-three results and a combined 132 laps-led. “As we were putting the finishing touches on our driver lineup for this year, we found ourselves looking for someone to drive the No. 51 Tundra in the June race,” Busch said in a team statement. ”We are fortunate to be putting a driver of Greg’s caliber behind the wheel. Biffle, 49, scored 16 of his 55 NASCAR national touring victories in the Truck Series. He was named Truck Series Rookie of the Year in 1998, finished second in the point standings in 1999 and won the title in 2000 in a Ford fielded by team-owner Jack Roush. That title launched Biffle into NASCAR’s Xfinity Series, where he posted 20 wins. Biffle’s 19 Monster Energy NASCAR Cup Series victories include Victory Lane visits at TMS in 2005 and 2012. Busch has won the NGOTS’ three most recent races around the 1.5-mile Atlanta Motor Speedway and sister Las Vegas Motor Speedway ovals, as well as last Sunday’s event on the half-mile Martinsville Speedway. This marks the third time in his Truck Series career that “Rowdy” has recorded three consecutive Truck Series visits to Victory Lane. However, Busch has not wheeled a NASCAR truck around TMS since the fall of 2014, when he scored the most recent of his three victories. In 12 series starts, Busch has earned wins in the fall events in 2009 and 2010, eight top-fives and a combined 356 laps-led. NASCAR Hall of Famer Ron Hornaday Jr. is the only Truck Series driver to have won four or more races in a row. Hornaday did so in 2009 at Milwaukee, Memphis, Kentucky, Indianapolis Raceway Park and Nashville. Johnny Sauter, winningest active Truck Series driver at TMS with five, led the first practice with a lap at 185.580 mph in the No. 13 Tenda Heal Ford F-150 fielded by ThorSport Racing. Sauter won the series title in 2016 with GMS Racing. Austin Hill led the second session at 185.816 mph in the No. 16 Safelite AutoGlass Toyota, logging that speed on his 28th and final lap. Trucks will qualify at 5:10 p.m. (EDT) Friday. This weekend’s March race date is the earliest for the series at TMS since the facility opened in 1997. Historically, the first Truck Series race of the season in Cowtown has been staged in June as part of the NTT IndyCar Series weekend. NASCAR announced last year the traditional fall date would be moved to the spring, creating an early-season tripleheader with the Xifinity and Cup series.